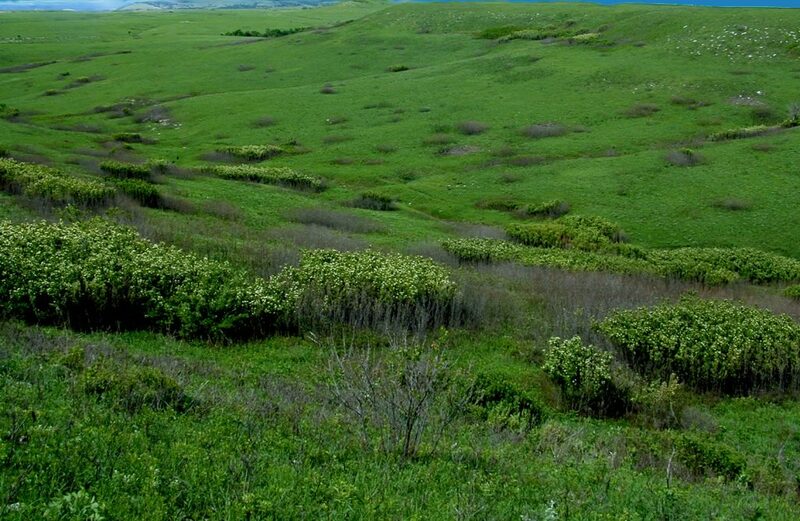 The Konza Prairie LTER Program is a comprehensive, interdisciplinary research program designed to provide an understanding of ecological processes in mesic grasslands, particularly tallgrass prairie, and contribute to conceptual and theoretical advances in the field of ecology. 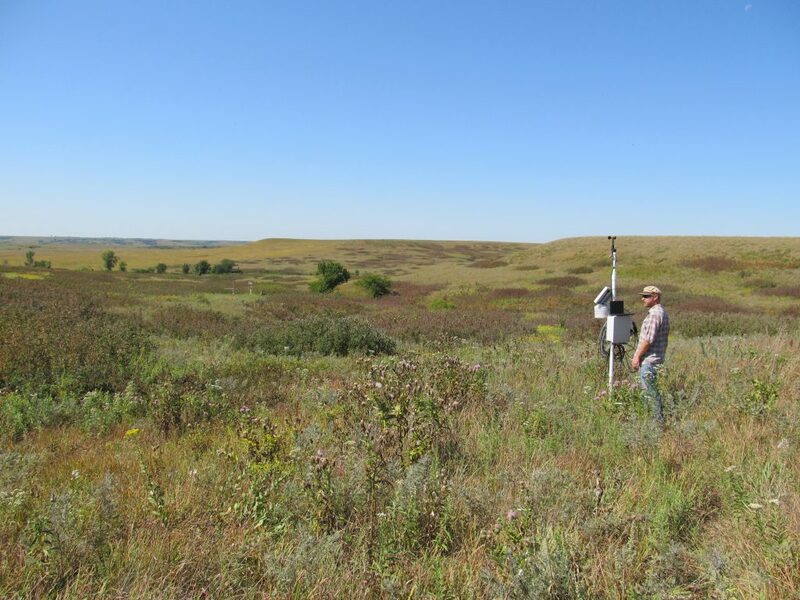 The Konza Prairie LTER program also offers educational and training opportunities for students at all levels, contributes knowledge to address land-use and management issues in grasslands, and provides infrastructure and data in support of scientific pursuits across a broad range of disciplines. Konza was one of 6 original LTER sites, and pre-LTER research extends selected datasets back >40 years. 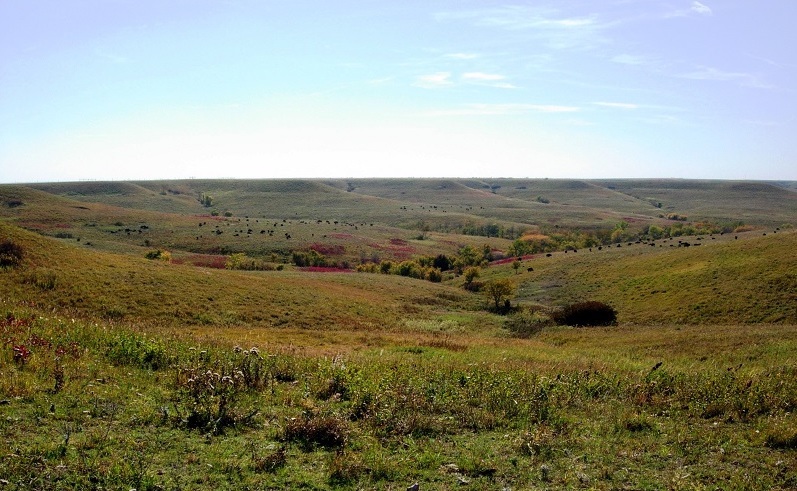 The focal site for our core LTER research is the Konza Prairie Biological Station, a 3487-ha area of native tallgrass prairie in the Flint Hills of northeastern Kansas. 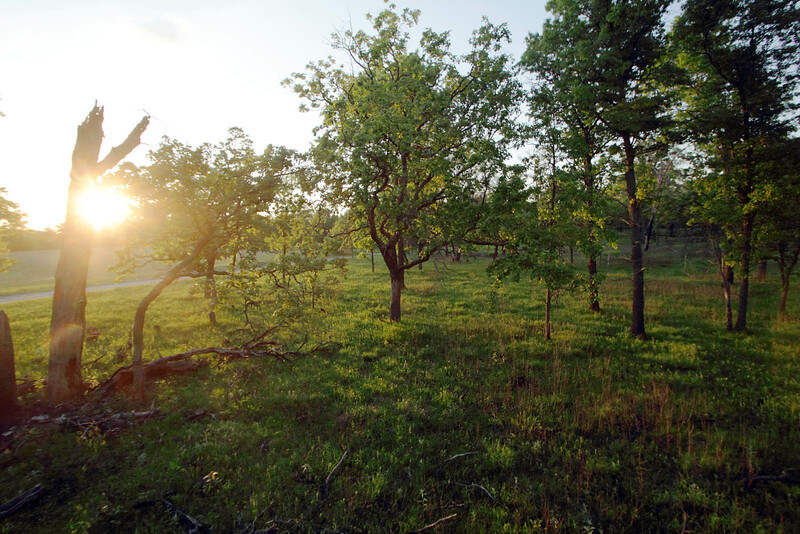 The KPBS was established in 1971, with land acquired by the Nature Conservancy and deeded to Kansas State University, and the site became a part of the LTER Network in 1981. The Konza LTER program encompasses studies at, and across, multiple ecological levels and a variety of spatial and temporal scales. The unifying conceptual framework guiding this research has been that fire, grazing and climatic variability are essential and interactive factors shaping the structure and function of mesic grassland ecosystems. The interplay of these natural disturbances across a heterogeneous landscape leads to the high species diversity and complex, non-linear behavior characteristic of these grassland ecosystems. Because grazing and fire regimes are managed in grasslands worldwide, Konza LTER data are relevant not only for understanding this and other grasslands, but also for addressing broader ecological issues such as productivity-diversity relationships, disturbance and community stability, top down vs. bottom up controls of ecological processes, and the interplay of mutualistic and antagonistic biotic interactions. In addition, because human activities are directly (management of grazing and fire) and indirectly (changes in atmospheric chemistry and climate) altering the key drivers of ecological processes in these grasslands, we are poised to use Konza LTER studies and data to address critical issues related to global change, including the ecology of invasions, land-use and land-cover change, human activities and water quality, and ecosystem responses to climate change. Thus, this long-term research program initiated >35 years ago to understand the effects of natural disturbances in this grassland has additional and immediate relevance for understanding and predicting the consequences of global change taking place in the grasslands of North America, and around the world. The Konza LTER program continues to build upon a long-term database on ecological patterns and processes derived from a fully replicated watershed-level experimental design, in place since 1977. This unique experimental design includes replicate watersheds subject to different fire and grazing treatments, as well as a number of long-term plot-level experiments which allow us to address the mechanisms underlying responses to various fire and grazing regimes. The effects of climate are being addressed by long-term studies encompassing the natural climatic variability, and possible directional changes, characteristic of this region, as well as manipulations of water availability in ongoing field experiments (i.e., the Irrigation Transect Study and the Shrub Rainfall Manipulation Plots (ShRaMPs Experiment). Within core LTER watersheds, permanent sampling transects are replicated at various topographic positions (n=4/topo. position/watershed), where ANPP, plant species composition, plant and consumer populations, soil properties, and key above- and belowground processes are measured. The collection of diverse data from common sampling locations facilitates integration among our research groups. In total, the Konza LTER Program incorporates explicit study of the major factors influencing mesic grasslands in a long-term experimental setting. It is a rigorous ecological research program designed to elucidate patterns and processes inherently important in grasslands, and address the potential impacts of global change in these ecosystems. Towards this end, we currently maintain >128 long-term datasets in association with long-term experiments ongoing as part of this program, and many more research activities of planned shorter duration. The focal site for the Konza Prairie LTER program is the Konza Prairie Biological Station (KPBS), a 3,487-hectare native tallgrass prairie preserve owned by The Nature Conservancy and Kansas State University and operated as a field research station by the K-State Division of Biology. 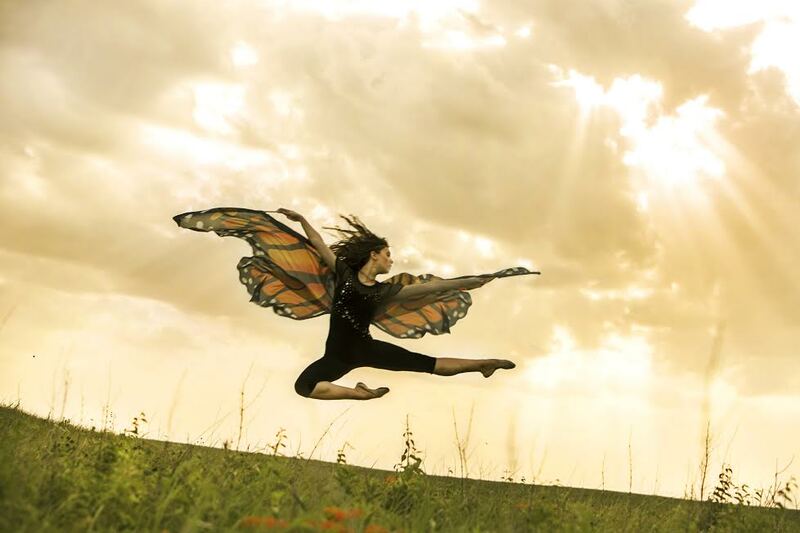 KPBS is located in the Flint Hills ecoregion of northeastern Kansas (39°05'N, 96°35'W). The Flint Hills are steep-sloped and overlain by shallow limestone soils unsuitable for cultivation. This region encompasses over 25,000 km2 covering much of eastern Kansas from near the Kansas-Nebraska border south into northeastern Oklahoma and contains the largest remaining area of unplowed tallgrass prairie in North America. KPBS has a continental climate characterized by warm, wet summers and dry, cold winters. Mean annual precipitation (835 mm) is sufficient to support woodland or savanna vegetation; consequently, drought, fire and grazing are important in maintaining this grassland. The site is topographically complex (320 to 444 m asl), and soil type and depth varying with topographic position. In general, lowland soils are silty clay loams formed from thick colluvial and alluvial deposits and may extend to 2 m. Hillside and upland soils are similar, but uplands are much shallower. These soils overlay as many as 10 distinct layers of alternating limestone and shale, contributing to the complex subsurface hydrology of the region. The vegetation at KPBS is primarily (>90%) native tallgrass prairie, dominated by perennial C4 grasses, such as Andropogon gerardii, Sorghastrun nutans, Panicum virgatum and A. scoparius. Numerous sub-dominant grasses, forbs and woody species contribute to its high floristic diversity. The KPBS biota includes >600 plant, 40 mammal, >200 bird, 34 reptile and amphibian, 20 fish, and >700 identified invertebrate species. Kings Creek, a USGS Benchmark Stream, originates on and traverses 10 km across KPBS. Gallery forests dominated by Quercus spp. and Celtis occidentalis occur along major stream courses. Several agricultural fields and restored prairies occur near headquarters. 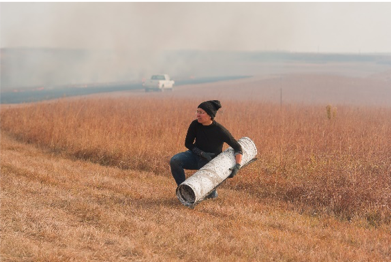 Overall, the site has most features representative of the pre-settlement tallgrass prairie, with fire and large native herbivores incorporated as a shifting mosaic. 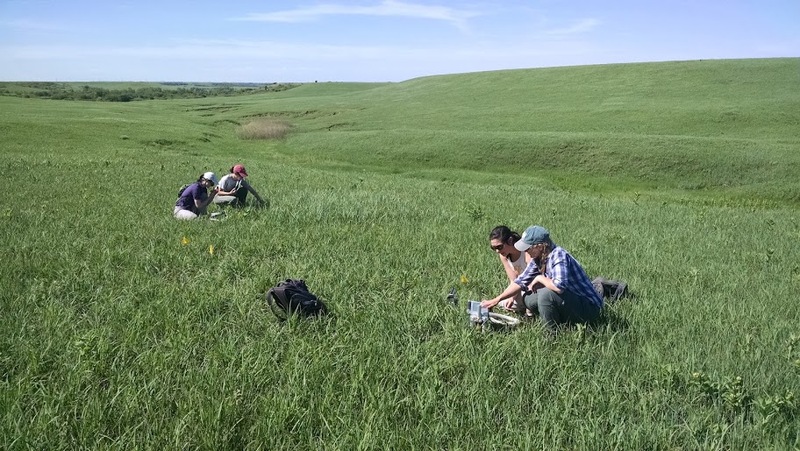 As a result, Konza Prairie serves as a benchmark for detecting and exploring the causes and consequences of environmental change taking place throughout the grasslands of the eastern Central Plains, with results relevant to mesic grasslands worldwide. The Konza LTER program is built upon a long-term database on ecological patterns and processes derived from a fully replicated watershed-level experimental design, in place at KPBS since 1977. This design includes replicate watersheds subject to different fire and grazing treatments. In addition to these watershed-level manipulations, the Konza LTER program includes a number of long-term plot-level experiments. The effects of climate are addressed by long-term studies encompassing the natural climatic variability, and possible directional changes, characteristic of this region, as well as manipulations of water availability and stream hydrology in field experiments. Within core LTER watersheds, permanent sampling transects are replicated at various topographic positions (n=4/topo. position/watershed), where ANPP, plant species composition, plant and consumer populations, soil properties, and key above- and belowground processes are measured. Stream weirs and permanent sampling locations facilitate long-term data collection in grassland streams. The collection of diverse data from common sampling locations facilitates integration among our research groups. Facilities available at KPBS includes the 4,650 ft2 Hulbert Center housing a library/conference room, classroom, offices, teaching laboratory, reference herbarium and animal collections, and dormitory-style housing for 15 visitors. Three multi-bedroom cottages can house an additional 20 visiting researchers. The 2,400 ft2 Ecology Laboratory includes 2 analytical labs, a soil and root processing lab, a computer room, and researchers’ shop. Other station buildings include a fire station and shop/maintenance building, storage for research equipment, materials, and archived samples, and a residence for on-site staff. All KPBS headquarters buildings have T1 Internet connectivity. Other field equipment and instrumentation at the site includes an eddy flux tower for quantifying ecosystem-level C flux, four weirs and associated stream gauging equipment, 46 wells for monitoring groundwater levels and chemistry, numerous TDR probes and neutron access tubes for soil water measurements. On-site monitoring instrumentation includes a USGS stream monitoring station, Climate Reference Network (CRN) weather station, and wet (NADP) and dry-deposition (CASTNet) monitoring facilities. 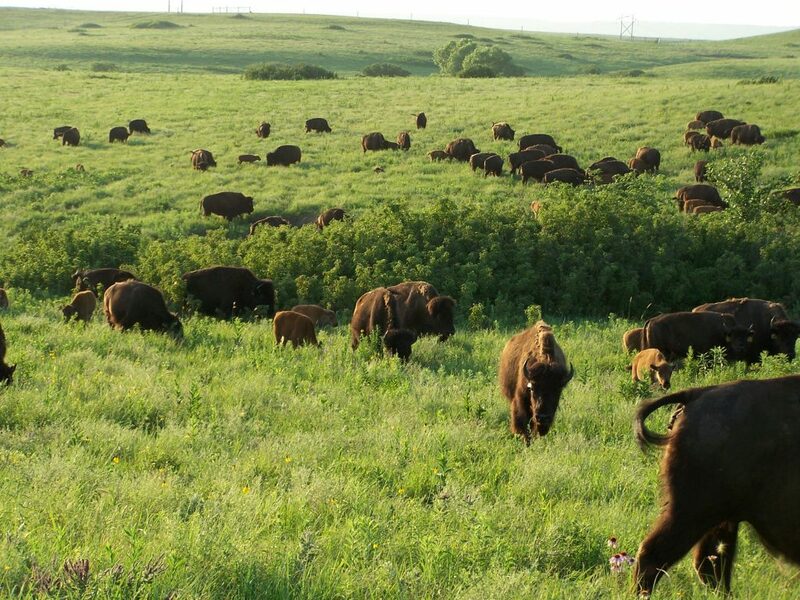 The focal research site for the Konza Prairie LTER program is the Konza Prairie Biological Station, a 3,487-hectare native tallgrass prairie preserve jointly owned by The Nature Conservancy and Kansas State University and located in the Flint Hills of northeastern Kansas. The Konza Prairie Biological Station was founded in 1971 under the leadership of Professor Lloyd C. Hulbert of Kansas State University, culminating years of dedicated efforts to establish a field station dedicated to ecological research in the tallgrass prairie region. Several adjoining tracts of land in Riley and Geary counties, including the 2,923-hectare historic Dewey Ranch, were purchased between 1971 and 1979 for Kansas State University by The Nature Conservancy with funds provided by Katharine Ordway. The site was named after the Kansa Indians, a Native American tribe that once inhabited the region. The original name was the Konza Prairie Research Natural Area, and it was re-named the Konza Prairie Biological Station in 2000, to better reflect its mission as a biological field station dedicated to research, education and conservation. patterns and frequency of disturbances to the system. 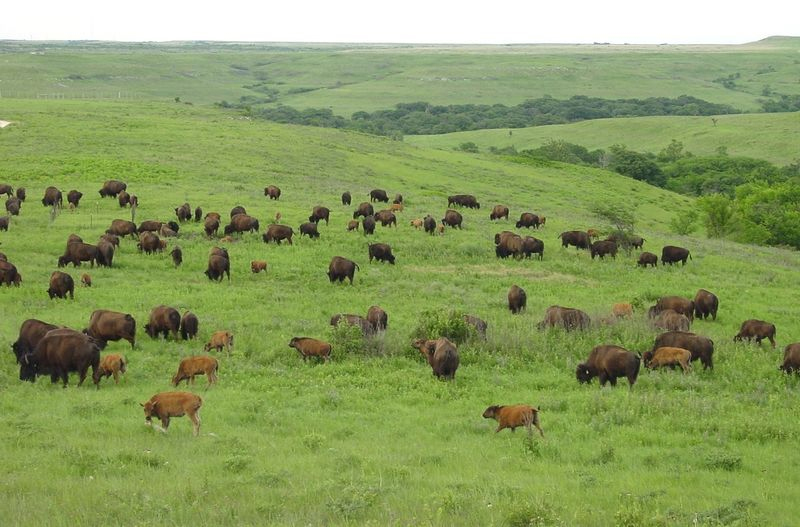 From its inception, the KNZ program explicitly recognized fire, grazing by large ungulates, and climatic variability as three critical and interactive drivers that determine the structure and function of tallgrass prairies and that are relevant to the LTER core areas. KNZ LTER research incorporated the unique watershed-level prescribed fire treatments that were part of the KPBS site experimental plan. With each successive funding cycle, LTER research goals at Konza Prairie have been refined, refocused and expanded, but the emphasis on fire, grazing and climate together with long-term studies in each of the five core areas have been, and continue to be, a baseline research effort that receives high priority. Below is a brief synopsis of the research themes and key personnel associated with each of the LTER funding cycles. LTER I (1980-1985) was led by G. Richard Marzolf in collaboration with Dean Bark, Lloyd C. Hulbert, Mike Johnson, Robert Robel and John L. Zimmerman. 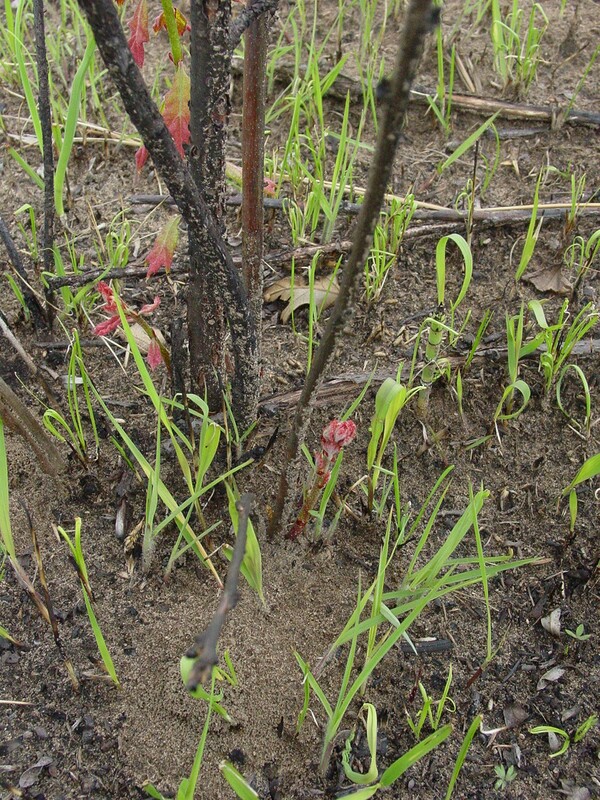 The initial KNZ research program focused on comparative investigations of ecological responses to fire and climatic variability. 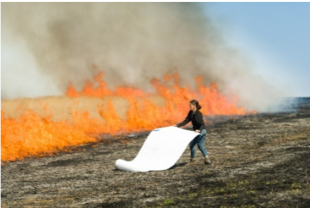 Long-term research sites and sampling protocols were established during this period with an emphasis on studies of the extremes of annually burned vs. unburned watersheds and upland vs. lowland sites. 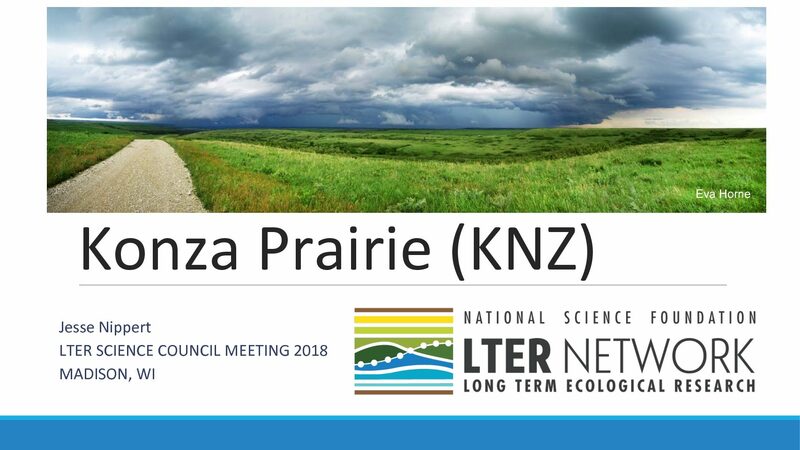 Many of these research sites and datasets, established at the onset of the KNZ LTER program, have continued as “core” components of our LTER program. 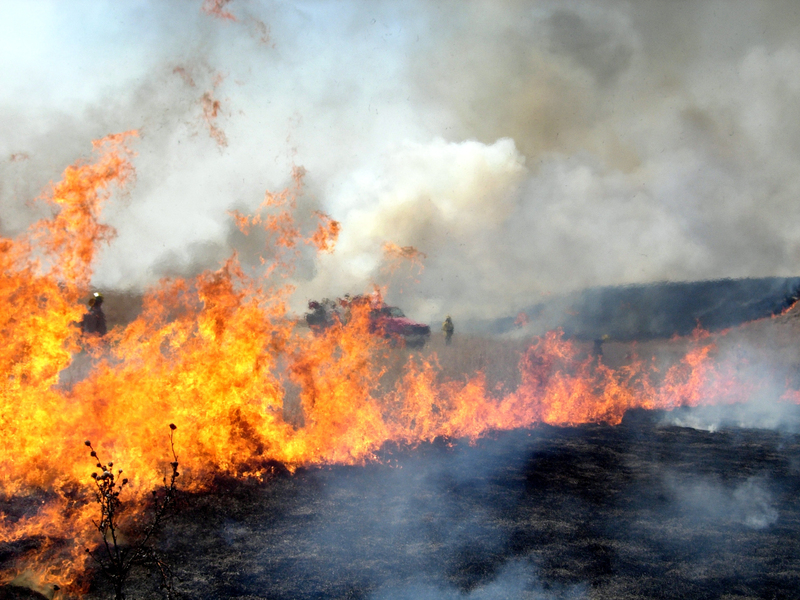 During LTER II (1986-1991), Donald Kaufman and Timothy Seastedt expanded KNZ LTER research to include a wider range of fire frequencies (specifically 4-yr fire cycles) and increased exploration of ecosystem responses. Increased emphasis was placed on soil processes, and new plot-level experiments (e.g., the Belowground Plot Experiment) were initiated. Moreover, as a result of the collaborative NASA funded FIFE (First ISLSCP Field Experiment) program from 1987-1989, KNZ researchers began to address more complex questions of scale and make use of remotely-sensed satellite data to explore landscape-level issues. Seastedt led the development of the KNZ LTER III (1991-1996) proposal, prior to leaving KSU in 1991. Subsequent leadership and administration during LTER III were provided by Alan Knapp and John Briggs, along with co-PIs David Hartnett and Don Kaufman. LTER III marked a significant expansion of the KNZ LTER program in terms of both research emphasis and scientific investigators. New faculty scientists added during LTER III included Walter Dodds (1991, Aquatic Ecology), John Blair (1992, Soil and Ecosystem Ecology), and Loretta Johnson (1995, Plant and Ecosystem Ecology). A major focus of LTER III was on how grazing and fire interact to influence biotic and ecosystem processes and patterns over a heterogeneous landscape mosaic, all of which are subjected to a variable (and potentially changing) climate. LTER IV (1996-2002) leadership was provided by Alan Knapp, with co-PIs John Blair, Briggs, Hartnett, Kaufman, Dodds, and Loretta Johnson. Blair assumed the role of lead PI in 1999 (mid-funding cycle). During LTER IV, we built on existing long-term studies of fire, grazing and climatic variability with a broadly-based research program encompassing studies from the organismic through population, community, and ecosystem levels. LTER research expanded to include studies of climate change, net carbon exchange, restoration ecology and land use/land cover change. These studies were linked via an overarching theme that addresses the major abiotic and biotic factors influencing this ecosystem and explicitly includes a non-equilibrium perspective on ecological patterns and processes in this grassland (Knapp et al. 1998). New KSU faculty scientists added during LTER IV included Ari Jumpponen (1999, Fungal Ecology), Karen Garrett (1999, Plant Disease Ecology), Brett Sandercock (2000, Avian Ecology), Carolyn Ferguson (2001, Plant Systematics), and Keith Gido (2001, Aquatic Ecology). LTER V (2002-2008) was led by John Blair, with Knapp, Briggs, Hartnett and Johnson, Dodds and Kaufman as Co-PIs. Knapp left KSU in 2003, but has remained an active participant. The goals of Konza LTER V were: 1) to build upon the core LTER experiments on fire, grazing and climatic variability begun over 20 years ago, with the goal of understanding the major abiotic and biotic factors underlying grassland structure and function; 2) to develop a mechanistic and predictive understanding of grassland dynamics and responses to multiple global change drivers; 3) to expand synthesis activities based on LTER results, and use these syntheses to develop and test current ecological theory. A major new emphasis in LTER V was on global change and the responses of grassland ecosystems to a changing world. We expanded ongoing studies of the impacts of land-use, climatic variability and climate change, eutrophication, and biological invasions. 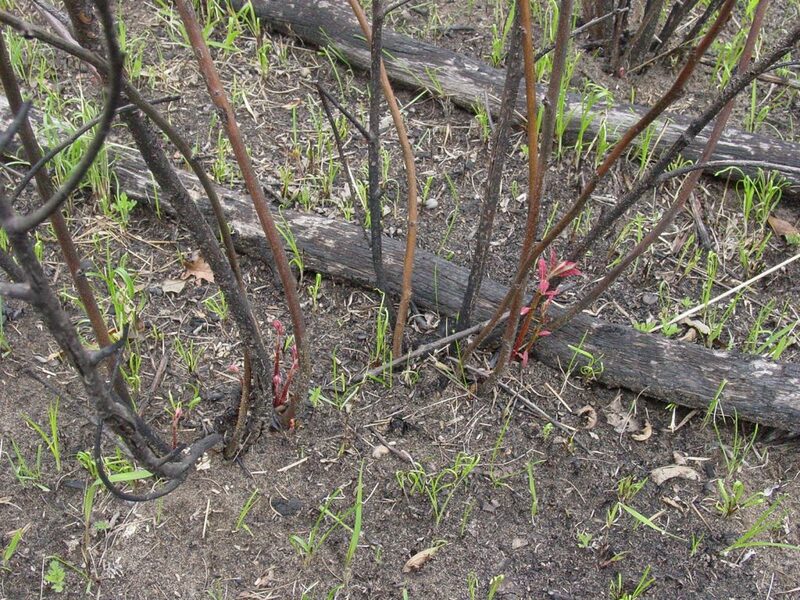 We also increased our efforts in the area of restoration ecology. 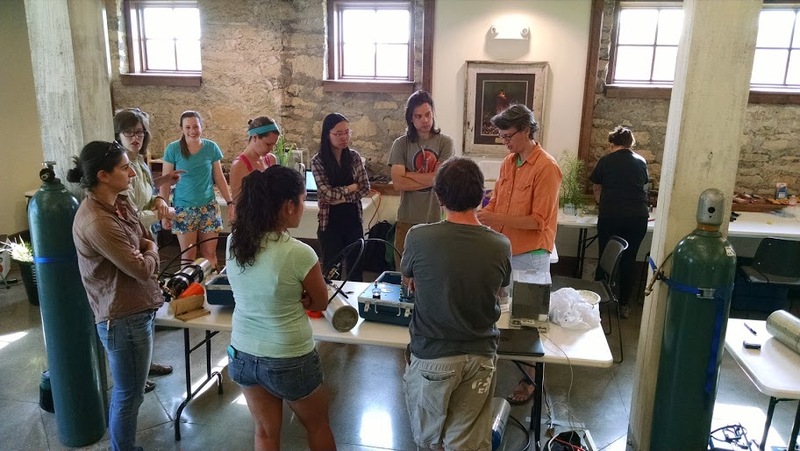 New KSU faculty scientists added during LTER V included Tony Joern (Community Ecology, 2003), Samantha Wisely (2003, Wildlife Ecology), and Jesse Nippert (2007, Plant Ecophysiology) along with an increased number of investigators from other institutions. LTER VI (2008-2014) was led by John Blair, with co-PIs Dodds, Hartnett, Joern and Jesse Nippert. The KNZ LTER program continued to address fundamental ecological questions, but with increased emphasis on the consequences of global change for ecological dynamics in grasslands, a theme relevant to understanding, managing and conserving grasslands worldwide. We focused on long-term responses to facets of global change most relevant to grasslands and grassland streams – changes in land-use (fire and grazing regimes, grassland restoration) and land-cover (particularly increases in woody plant cover); climate change and altered hydrology; and altered nutrient cycles (enhanced N deposition) – and coupled long-term observations with manipulative studies to provide mechanistic explanations for these responses. Many of the long-term experiments and datasets initiated in previous LTER grants were continued in LTER VI, while several new experiments and datasets are initiated. New KSU faculty scientists added during LTER VI included Alice Boyle (ornithology - 2012) and Eduardo Santos (micrometeorology - 2012). During this funding cycle, we continued and expanded support for research by scientists in other departments at KSU (John Harrington, Geography; Stacey Hutchinson, Civil Engineering; Kendra McLauchlan, Geography; Kevin Price, Agronomy) and from other institutions (Sara Baer and Matt Whiles, University of Southern Illinois; Alan Knapp and Melinda Smith, Colorado State University; Nate Brunsell and Gwen Macpherson; University of Kansas; Gail Wilson, Oklahoma State University). LTER VII (2014-2020) was led by Blair with co-PIs, Baer, Dodds, Joern and Nippert. During 2017, Joern retired from KSU and Nippert assumed the role of lead PI (mid-funding cycle). KNZ LTER VII research continues to focus on contemporary global change drivers, and will address the following questions: (1) How do natural (fire, bison grazing, climate) and anthropogenic (altered disturbance regimes, climate change, altered biogeochemistry, cattle grazing) drivers affect grassland states and dynamics at multiple levels of ecological organization? (2) What are the long-term rates and trajectories (e.g., directional, non-linear, threshold) of grassland response to altered drivers, and what mechanisms underlie, or constrain, observed responses? We focus explicitly on drivers that KNZ research has identified as having the greatest impact on ecological processes and thus the greatest likelihood of altering ecological states. (3) Do rates and patterns of change in this grassland, and the underlying mechanisms, conform to conceptual and theoretical models? The wide array of different structural and functional states resulting from KNZ long-term experimental treatments provides a unique opportunity to test complementary models. (4) What determines grassland resilience, and what legacies and/or feedbacks constrain recovery of system state and function following disturbance or when drivers change? Can recovery be facilitated based on ecological principles? The long-term experiments and datasets at KNZ provide a foundation for addressing these questions, by eliminating or altering chronic drivers in ongoing experiments and using data from natural experiments (e.g. recovery from drought) to test for feedbacks and legacies that affect resilience and recovery. 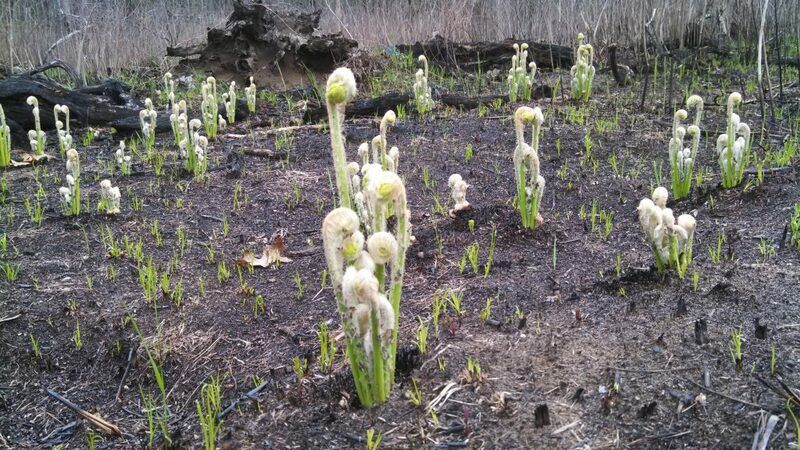 (5) What abiotic and biotic factors (filters) regulate community assembly and state changes in restored prairie? 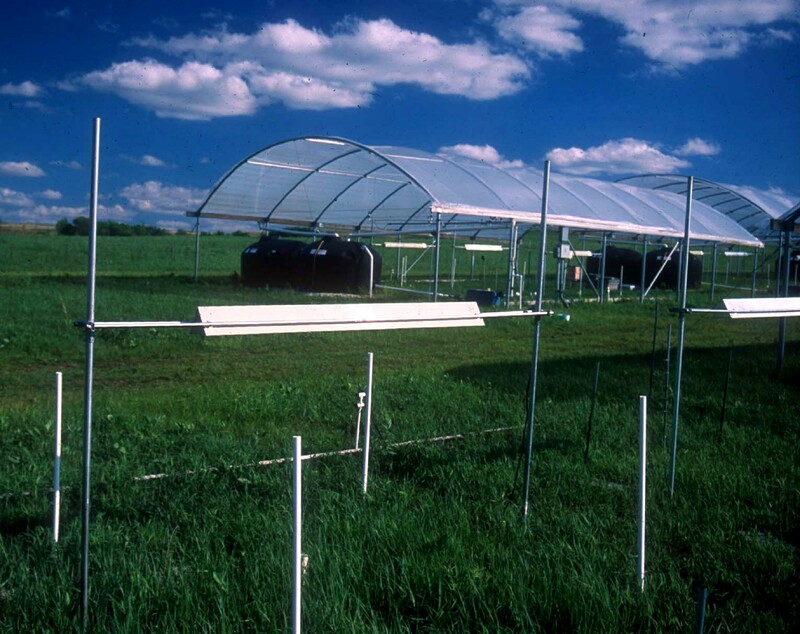 A variety of KNZ restoration experiments, including a sequential restoration experiment previously initiated in LTER VI provide a novel framework for testing theory (e.g., community assembly) and our understanding of constraints on recovery and state change in restored prairie. 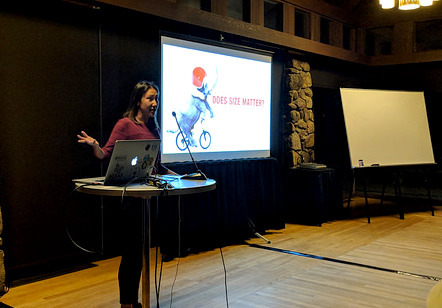 New faculty scientists added during LTER VII include Lydia Zeglin (microbial ecology - 2014) at KSU and Pam Sullivan (ecohydrology - 2014) at the University of Kansas. Just How Does Nitrogen Drive Change in Plant Communities?